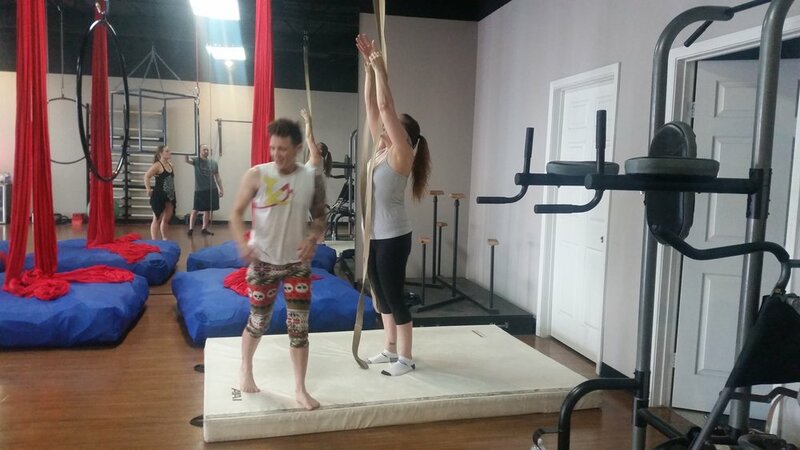 Axis had its first aerial straps class today with Danny Eaux. She is a wonderful instructor that focuses on good technique. Danny had students practicing meat hooks and straddles - both foundational movements for the straps. What an incredible workout - everyone is going to feel sore in the very best way! Axis is lucky to have her through the end of the year. 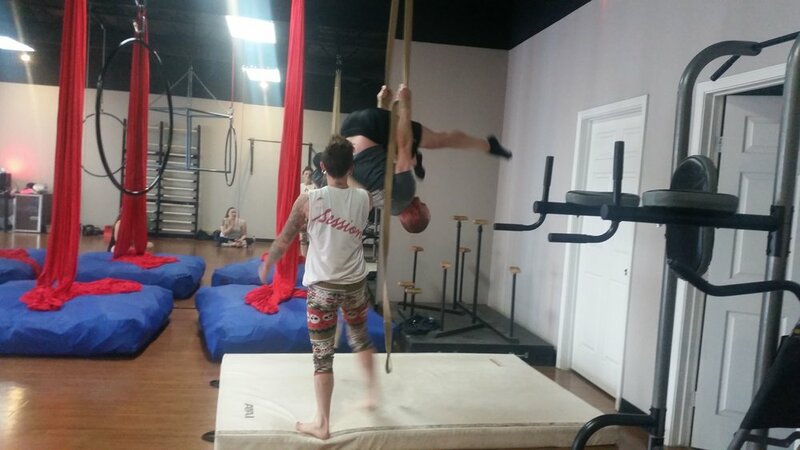 If you are looking for a fun and kind instructor to introduce you to aerial arts, Danny is a great choice. 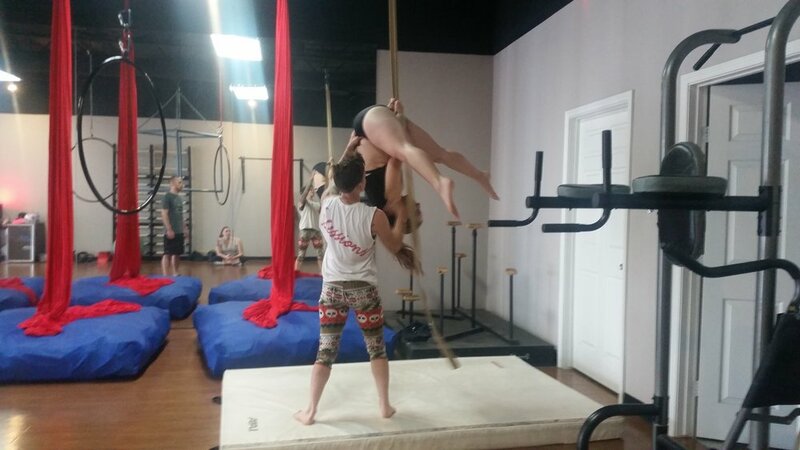 Aerial straps classes are offered Sundays from 2:30-3:30 for $25, or included in memberships and class packages. Call (713) 408-4723 to reserve a spot. Follow Danny on Facebook or Instagram.